Two-dimensional Raman-terahertz (THz) spectroscopy is presented as a multidimensional spectroscopy directly in the far-IR regime. 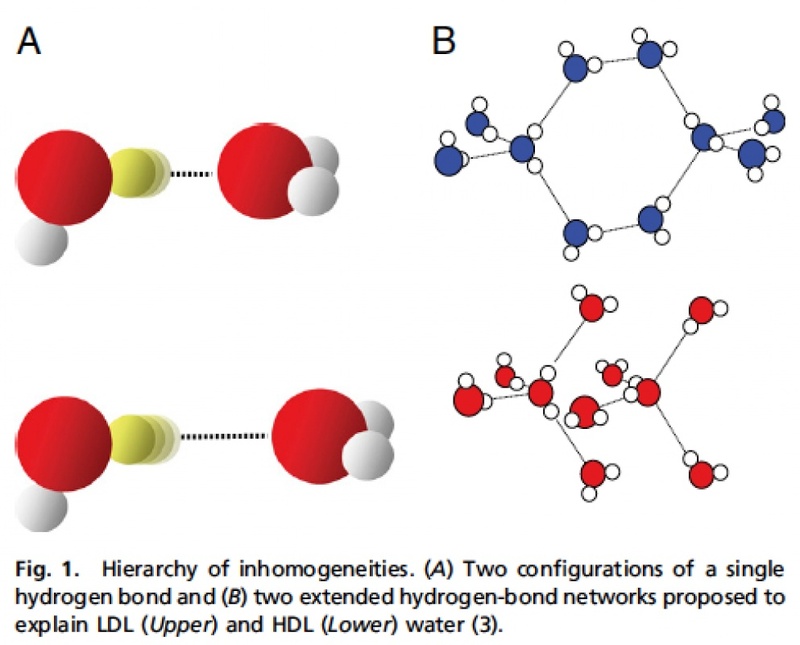 The method is used to explore the dynamics of the collective intermolecular modes of liquid water at ambient temperatures that emerge from the hydrogen-bond networks water forming. Twodimensional Raman-THz spectroscopy interrogates these modes twice and as such can elucidate couplings and inhomogeneities of the various degrees of freedoms. An echo in the 2D Raman-THz response is indeed identified, indicating that a heterogeneous distribution of hydrogen-bond networks exists, albeit only on a very short 100-fs timescale. This timescale appears to be too short to be compatible with more extended, persistent structures assumed within a two-state model of water. Publication: Savolainen, J., Ahmed, S., and Hamm, P. (2013) Two-dimensional Raman-terahertz spectroscopy of water. Proc Natl Acad Sci USA 110, 20402-20407 (10.1073/pnas.1317459110).